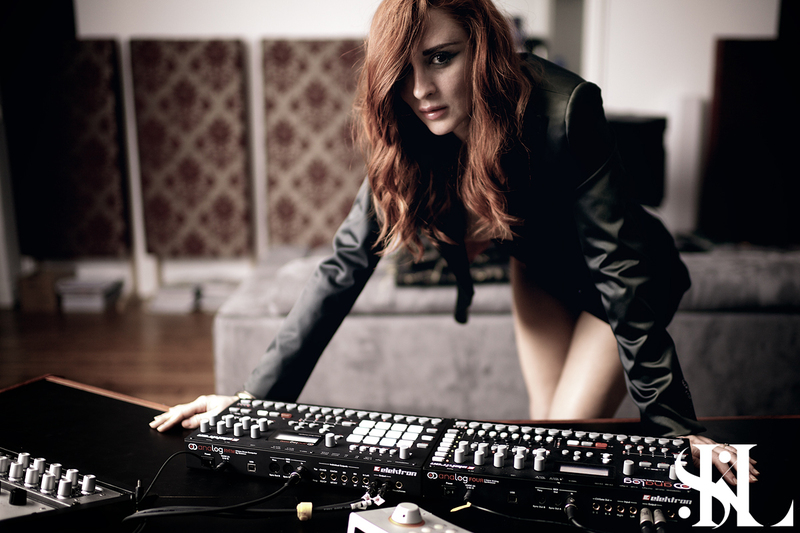 Rocking out with our Elektron Analog Rytm and an A4. We were lucky enough to get one of the first Analog Rytm(s) when released 3 weeks ago. It arrived just in time to be used on some of the tracks that are on our upcoming album “Parisian Dolls” (scheduled for release in Q1 2016). Diana and I instantly bonded with this incredible machine the same way that the Machinedrum and Analog 4 were love at first boot up! That’s not to say that the Octatrack does not get any love! Since we got the Octatrack, we were using the Octatrack with sounds designed on the Machinedrum since the sequencer and the timing on the Octatrack are so sophisticated & ultra tight. Now that we have the AR, we can start using the 08 for more “experimental” sampling duties and let the AR do the main drums, with the MD providing supporting percussion. For us, this is the drum machine we have been waiting for!